Do you want to speed up your WordPress site? Fast loading pages improve user experience, increase your page views, and help with your WordPress SEO. In this article, we will share the most useful WordPress speed optimization tips to boost WordPress performance and speed up your website. According to a Strange – Loop case study that involved Amazon, Google, and other larger sites, a 1 second delay in page load time can lead to 7% loss in conversions, 11% fewer page views, and 16% decrease in customer satisfaction. This is why we recommend that you test your website speed using a tool like Is – It – WP’s WordPress Speed Test. A good page load time is under 2 seconds. However, the faster you can make it, the better it is. A few milliseconds of improvements here and there can add up to shaving off half or even a full second from your load time. 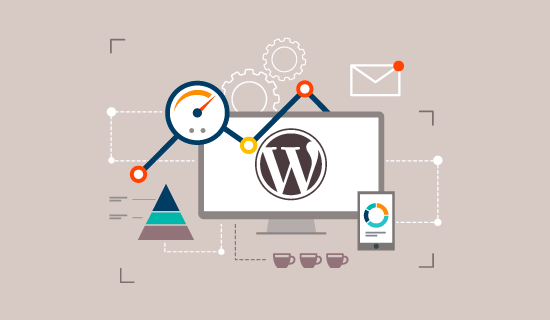 Your WordPress hosting service plays an important role in website performance. A good shared hosting provider like Irish – Hosting or our own Hosting Service take the extra measures to optimize your website for performance. On the other hand, using a managed WordPress hosting service give you the most optimised server configurations to run WordPress. Managed WordPress hosting companies also offer automatic backups, automatic WordPress updates, and more advanced security configurations to protect your website.